Suncoast Window Films is a highly experienced and trusted provider of premium residential, commercial and marine window film products and installations. Our goal is to solve our client’s glass related issues with solution based products and unparalleled installation services. Suncoast Window Film’s team is comprised of window film experts, certified and experienced in every aspect of our business. Suncoast Window Films has the experience and personnel to manage any project large or small and guarantees an exceptional experience and on-time completion. We know what it takes to get the job done! Our mission is to provide our clients with sustainable, solution based products that really work. Though we provide high performance products, we consider them secondary to an exceptional customer experience. We take great pride in what we do and it reflects in every aspect of our business, from the initial consultation to the last pass of our squeegee. Every application of our film helps reduce greenhouse gas emissions and reduces carbon footprints for future generations. Our clients rave about us and so will you, we guarantee it! Founded on his morals, owner and Sarasota native, Brian R. Gregg has an undying passion for the window film business. It all started fifteen years ago when he met the late window film legend, Lyman G. MacNutt of Solar-X of Sarasota. 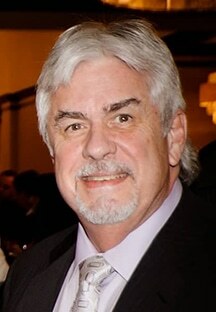 Lyman started his Sarasota based window film business in 1973 and carried a reputation throughout the industry as the “Guru”. In 2002, Brian started as an installer and quickly worked his way into a leading management position within Lyman’s business. Known as Lyman’s right-hand, Brian shared Lyman’s passion for the window film business and helped grow the business to record levels. In 2015, Brian founded Suncoast Windows Films to continue Lyman’s legacy of over 40 years of window film excellence. In memory of our mentor and friend.